Malshej Ghat is a mountain pass in the Western Ghats range in Maharashtra. This place is famous for its different kinds of flora and fauna. The variety of birds found here will leave the viewer spell bound. Malshej Ghat has innumerable things to keep the visitors busy. For people who are into adventure, trekking is an option; the nature lovers find themselves immersed in absorbing the beauty of flora and fauna while the bird enthusiasts will have a busy time drooling over the pink flamingoes that are spotted throughout the place during the winters. It is a perfect place to visit if you are looking for a break from the busy life of the city. Though the place is full of tourist attractions, here are some of the places you must visit if you are in the Malshej Ghats. Malshej Ghat is filled with countless beautiful waterfalls. 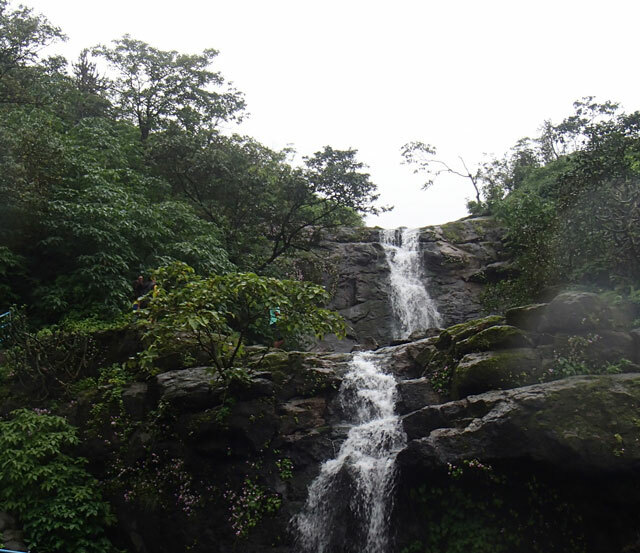 Malshej waterfalls are full during the monsoon season, and they contribute majorly in making the hilltop look magnificent. Some waterfalls are so big that they even fall on the roads. It is fun to walk through the gush of water. Monsoon is the best time to visit the falls as the water swell up, making the Malshej Ghat a symphony of waterfalls. When a cold, strong breeze blows, it causes the water to move upwards, resulting in the rise of water level. Rain, mist, fog and the cascading falls in the middle of the greenery of a beautiful forest is a sight that would never leave your memory. Built in the 6th century, Harishchandragad fort is situated at an altitude of 1,424 m above sea level. This monument has helped in guarding and controlling the surrounding regions. 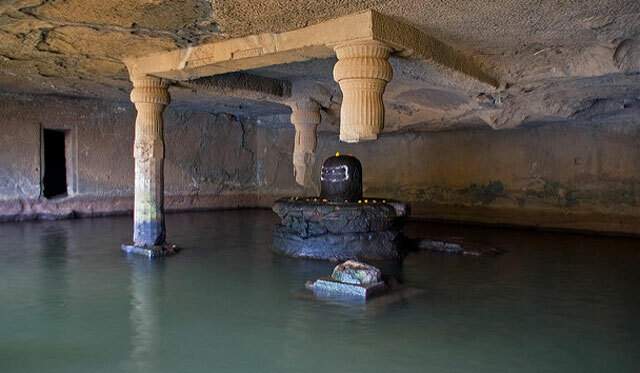 It has Lord Vishnu temples along with many other idols. There are Buddhist caves around the fort that attract a large number of people. The Harishchandragad Peak is the most famous tourist attraction because there is a semi-circular rock wall of Konkan Kada right there. People can even go for hiking on these caves. There are around fives ways to reach the fort. Finding food up there is not a problem during the summers and winters as the villagers nearby are happy to cook and serve, however, during the monsoons, due to the weather conditions, they prefer not to serve food to the visitors, therefore, one must make their arrangements before going up there. Pimpalgaon Joga dam is a beautiful dam that is 5 kms long and runs across the river Pushpavati. The dam is a popular spot for the bird watchers. A number of rare species of birds are spotted around this dam. Birds like pitta, purple-moorhen, whistling thrush, alpine swift, quail, green pigeon, and pied crested cuckoo are commonly seen here. Apart from these, the colonies of the migratory flamingos are also visible. It is said that during winters, the flamingos make this very river as their home. 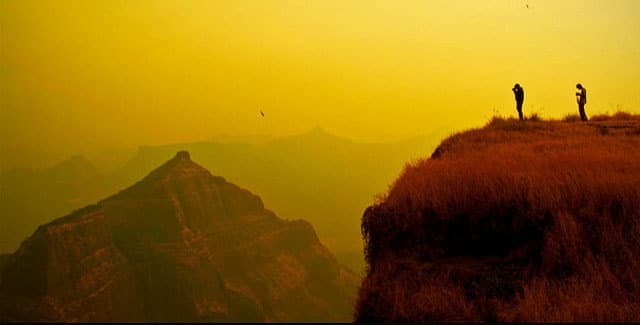 Kokan Kada is situated in Harishchandragad and no words can describe its beauty. The cliff has an overhang which looks like a cobra’s hood. It has only been climbed two times till date. It should be visited in the morning as well as the evening. Being there in the morning will give you the divine feeling, like you are in heaven whereas, in the evening, one can witness the spectacular sunset. This place finds a spot in many “places to see before you die” lists. Ajoba Hill fort is the perfect place for the adventure enthusiasts. It is a well-known place for trekking and rock climbing. The Darkoba Peak near this fort is also an ideal place for both the activities. Malshej Ghat can be visited throughout the year because of the wide range of places and activities available here. However, if one wants to see the true beauty of the place, they must visit it during the monsoons, while if you want to witness the rare migratory birds, you must be here during the winters. Overall, this place has a lot to offer to the wide range of people.